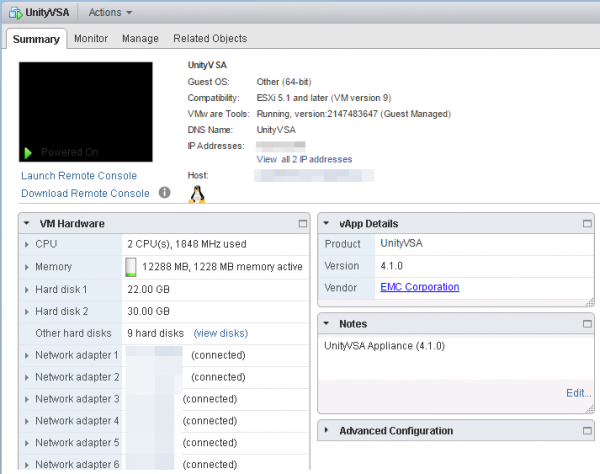 EMC released the new midrange storage array Unity at EMC World last year. Available in 3 different options (Unity All Flash, Unity Hybrid Flash and UnityVSA), the Unity product line was built as a replacement for VNX and VNXe use cases. Unity features multiple integration points with virtualization technologies that are used in datacenters today such as VMware vSphere and Microsoft Hyper-V. Many of these powerful integration points are embedded in to the system and are designed with the end-user experience in mind. 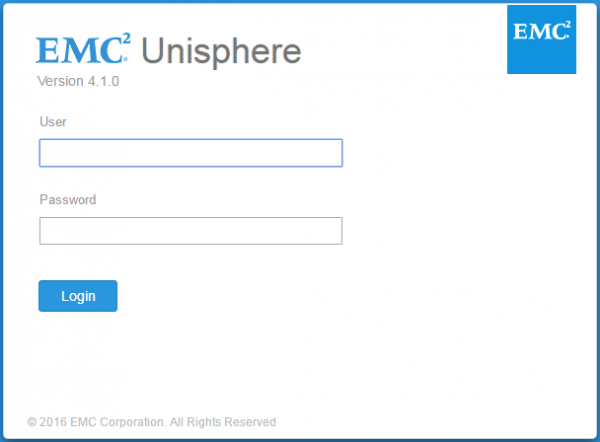 They can be easily managed directly from the HTML5-based Unisphere graphical user interface. In case you are curious and would like to know more about the story behind Unity, I encourage you to read Chad’s post on the subject, EMC World 2016: Unity… the story BEHIND the story. Nevertheless, a lot of great features are still available, such as read caching, asynchronous block and file replication, or also virtual volumes. I won’t come back on the OVA deployment itself, but please note the following special consideration: without going into details, you can’t use the current OVA to deploy on vSphere 6.5. The operation failed for an undetermined reason. Typically this problem occurs due to certificates that the browser does not trust. If you are using self-signed or custom certificates, open the URL below in a new browser and accept the certificate, then retry the operation. 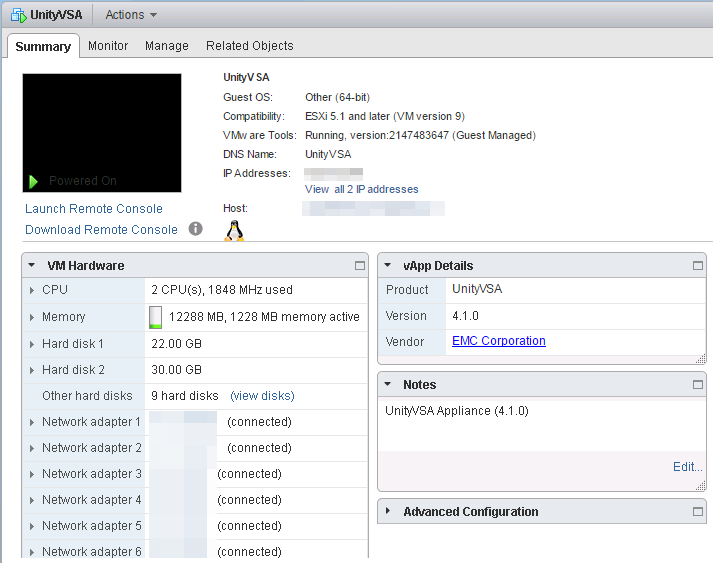 The UnityVSA supports only 1 SP (Storage Processor). The 3 first virtual disks are automatically created for the VM’s system data (these are always the virtual disks identified as 1-3). Do not touch these (or a puppy will die)! You must add at least one virtual disk for user data. The minimum virtual disk size is 10 GB. It is strongly recommended that the user’s storage (on virtual disks) is allocated on datastores built on different physical disks than the default UnityVSA VM datastore. Failure to follow this recommendation can lead to system and I/O performance degradation. Please allow up to 60 seconds for UnityVSA to recognize and display newly attached vdisks. If you have to add a new SCSI controller, make sure the SCSI controller type is VMware paravirtual. 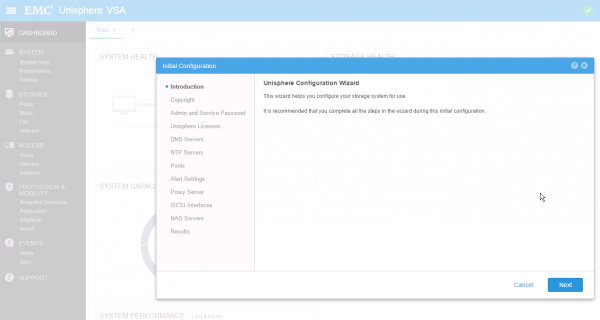 Once the appliance is powered on, browse to its IP address and log to Unisphere with the default UnityVSA credentials: admin with password Password123#. At first login, the initial configuration wizard will automatically show up. Note that you can create your first pool in this step, but it’s not required. You can also create pools on the Unisphere Pools page later. 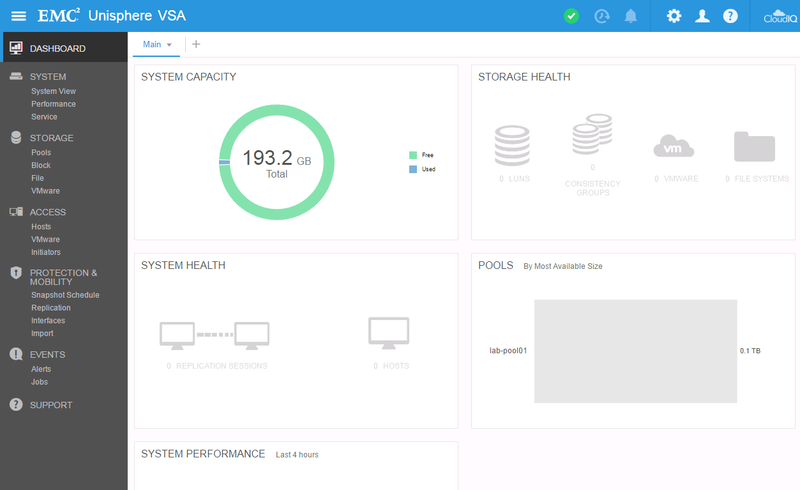 The Unity Virtual Storage Appliance has now been deployed and uses the same interface (Unisphere) and software as its hardware counterpart. From here, you can move forward and start configuring it in details. I plan to post more on this topic later as I’m testing some of the appliance capabilities, stay tuned! Nice informative post sir Romain, I’ll try it in my home lab. Thanks for sharing. When I run this command: svc_initial_config … Unityvsa dos not accept because it’s in service mode. what is the solution for that? Nope, no idea. I don’t remember having an issue with the deployment. Have you checked the documentation again and compared to your deployment? The problem is that the virtual appliance has not 12 gb of ram.